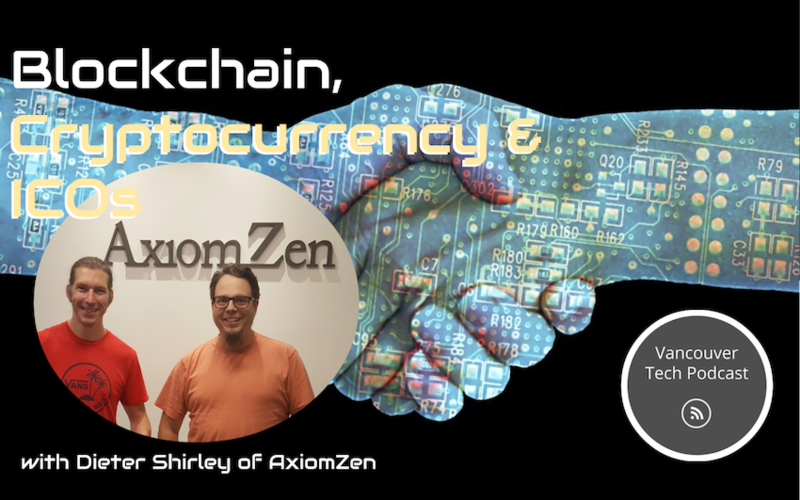 Special guest Dieter Shirley of AxiomZen joins host Drew Ogryzek to discuss blockchain, cryptocurrency, and ICOs. AxiomZen is a company that is always investigating new technologies, building their own startups, partnering with external investors to build startups with them, building companies for fortune 500 companies and other industry groups. For AxiomZen, breaking new ground, rather than building "me too" products is the norm. Naturally, blockchain is something they have had their eyes on since day one. Shirley describes blockchain as a really clever technology, that is fundamentally a way of storing a series of transactions or events in a way that any sized group of people can always agree on what's in that log without any possibility of the history of that log being changed. Bitcoin introduced the public blockchain, basically stating that because we have this technology that lets us have an indelible log of transactions that everyone agrees have occurred, we don't need a bank, explains Shirley. Shirley believes the core technology of blockchain, being distributed publicly is disruptive because it is basically saying we don't need banks, or necessarily government to define currency for us. We can do everything in the cloud, in a decentralized way where no one is in charge, but the code. Listen in to hear more in-depth discussion and follow Dieter Shirley on Twitter at @dete73.